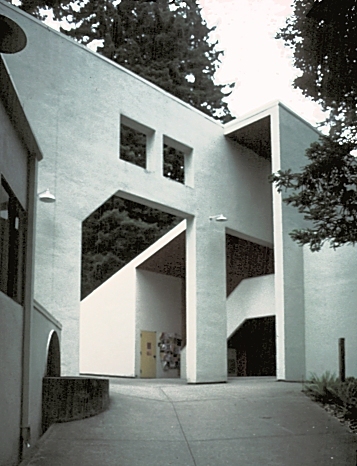 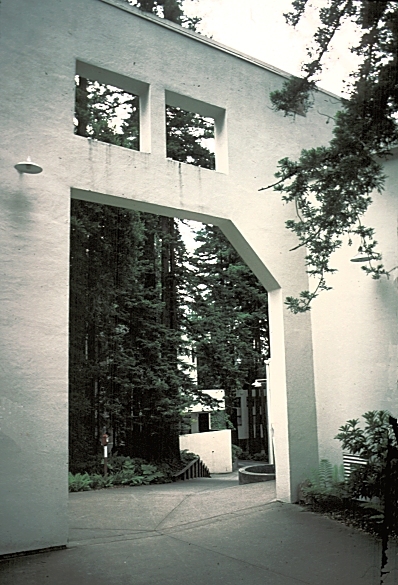 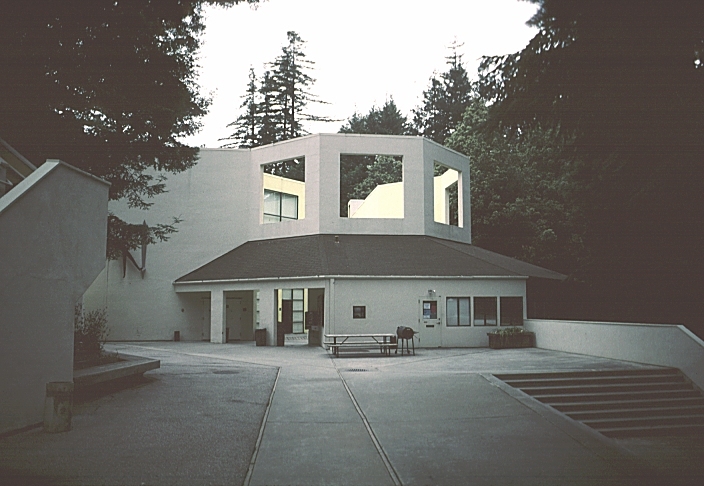 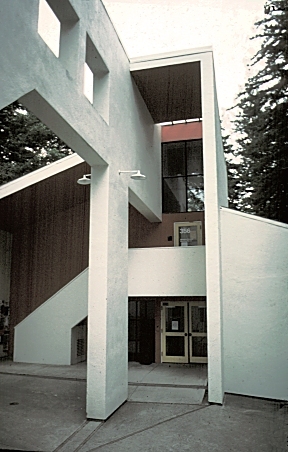 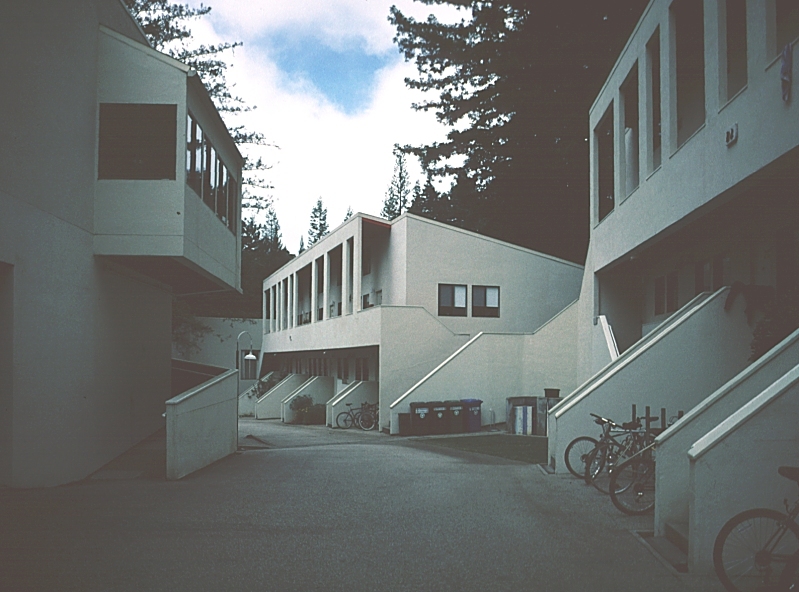 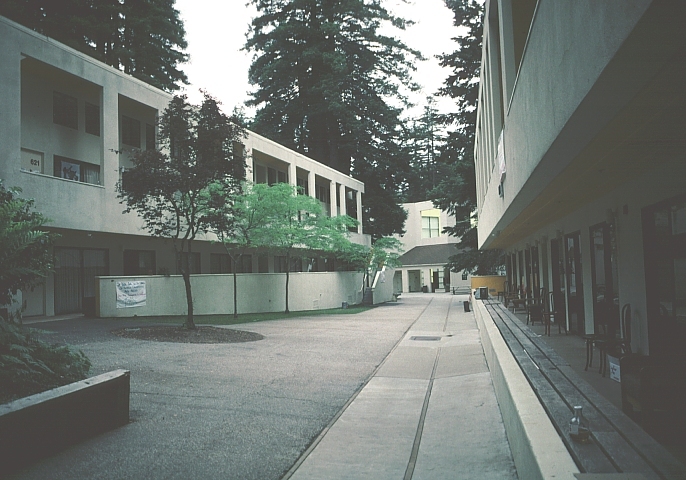 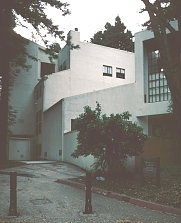 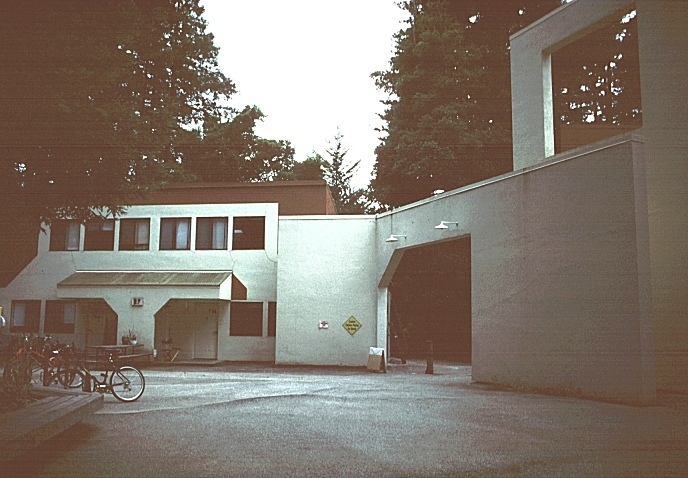 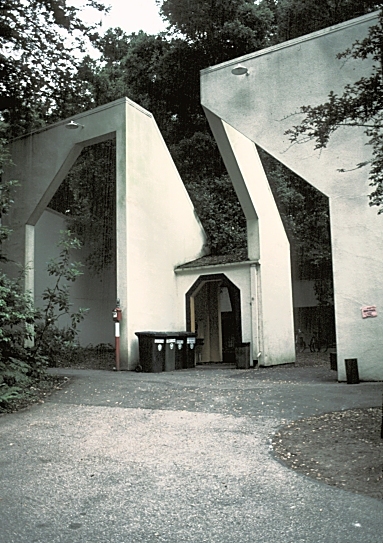 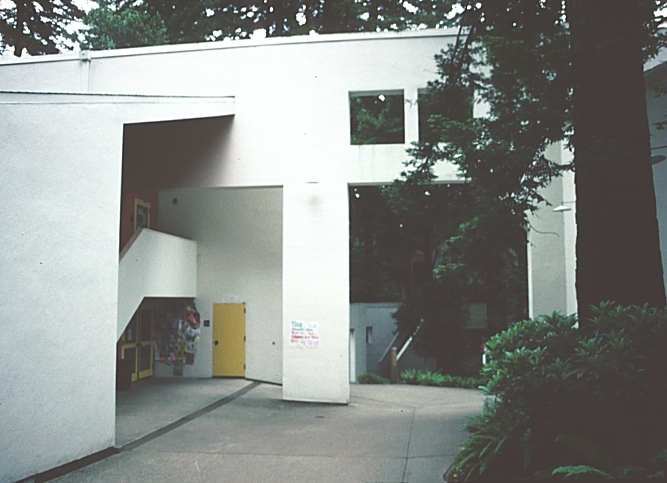 Images of Kresge College, U. C. Santa Cruz, by Charles Moore. 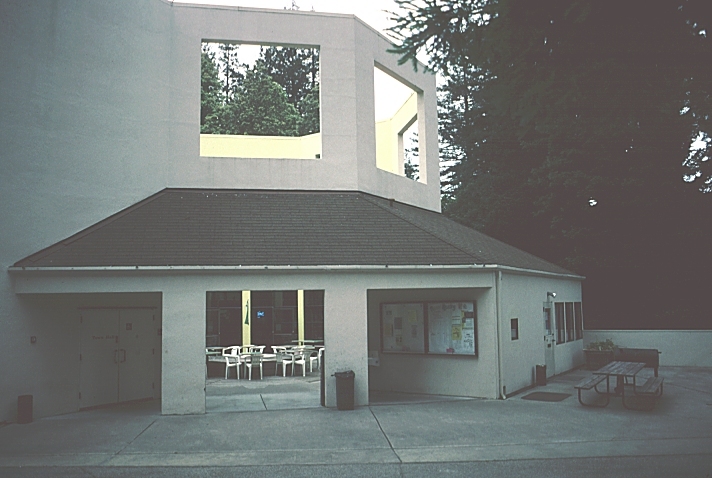 The winding street terminates at an octagonal assembly hall, dining room and cafe. 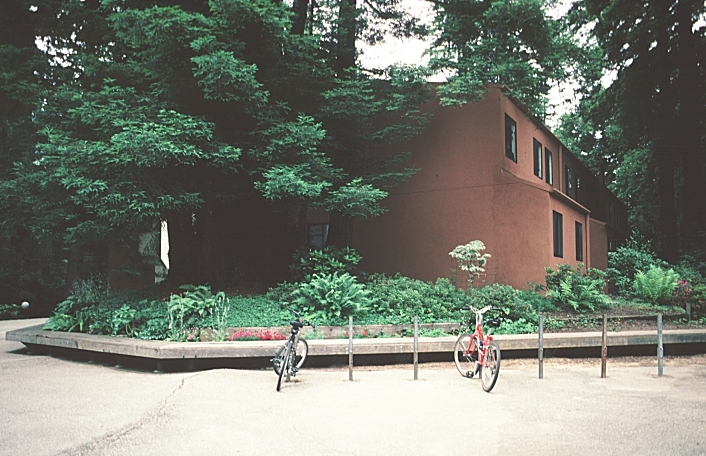 Click here to return to page 1 of Kresge College.